When the Twins christened Target Field six years ago this month, their line-up was anchored by two recent American League MVPs. Still in their 20s, the M&M Boys appeared to be at the peak of their powers and were expected to be for Target Field what Kirby Puckett and Kent Hrbek were for the Metrodome. 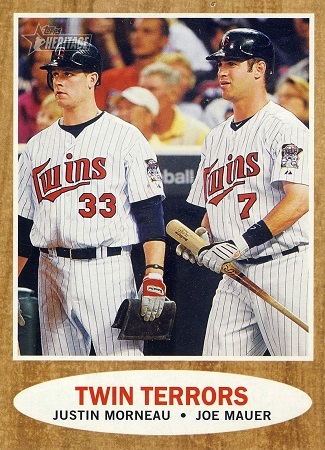 What we didn’t – and couldn’t – have known then, is that Justin Morneau’s and Joe Mauer’s best days were already behind them. When a sliding Morneau’s head collided with Toronto second baseman John McDonald’s knee that July, the 29-year-old had a batting line of .345/.437/.618 with 18 homeruns and 56 RBI. He had just been voted in by the fans to start the upcoming All Star Game. A second MVP was real possibility. The resulting concussion sidelined him for the rest of the 2010 season and derailed his career. From 2011-2013, the injury prone slugger’s production slid into mediocrity and he appeared in just 355 of a possible 486 games. In the friendly Colorado air, Morneau enjoyed good health and approached his old standards in 2014 with the Rockies, capturing the National League batting crown. The renaissance was short lived. A series of injuries, including another concussion, limited the 34-year-old to 49 games last season. Currently a free agent and recovering from off-season elbow surgery, Morneau likely won’t be healthy enough to swing a bat until June. He’ll be 35 by then and hoping a contending team will give him a look. The 33-year-old Mauer meanwhile, trudges on in the shadow of his younger, more dynamic teammates. The 8-year, $184 million contract he signed prior to the 2010 season began a process that saw the image of a milk drinking, mom loving local hero mutate into an aloof, overpaid professional. Mauer’s drop in production lacked the drama of Morneau’s. There is no defining moment; it began with bilateral leg weakness and also included a concussion. It’s mysterious and elusive, which only heightens the frustration. Since being permanently moved from the catcher position in 2014, the St. Paul native has hit .270/.348/.371. Lackluster at any position, for a first baseman it’s catastrophic. After clubbing 28 homeruns in his 2009 MVP campaign, Mauer has hit just 47 in the six seasons since. Some of that can be attributed to injuries and the awkward dimensions of Target Field, but those excuses have far exceeded their limits. Back in 2010, the M&M Boys had Hall of Fame aspirations. Today Mauer is trying to justify his place in the Twins everyday line-up and Morneau is injured and out of work. Mauer’s $20+ million guaranteed annual salary may be all that’s keeping him on the roster, while Morneau wishes he were so lucky. Someday plaques emblazoned with No. 7 and No. 33 will be bolted to the limestone near the foul pole on the third base line in Target Field. Their accomplishments will be celebrated and the good times romanticized, but with a tinge of melancholy. We’ll always wonder what might have been.